Discussion in 'Online Games - News and Reviews' started by Marina, Aug 5, 2018. 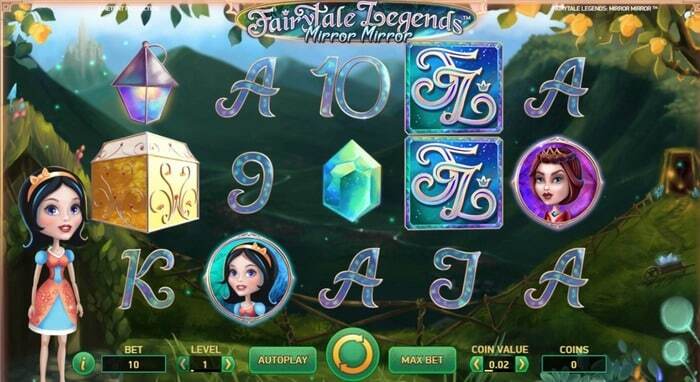 Players at NetEnt powered online casinos have been counting the days ahead of the release of the games developer’s new slot game, Fairytale Legends: Mirror Mirror. NetEnt rolled out the third game in its hugely popular Fairytale Legends series, and if the previous two games (Hansel & Gretel and Red Riding Hood) are anything to go by, the new title will be a winner from every perspective. Fairytale Legends: Mirror Mirror slot is a 5 reel, 243 ways to win game that can be played on multiple devices, including desktop or mobile. Players can wager as little as 10 p per spin or as much as EUR 100, which makes for some seriously big opportunities for high rollers. It’s quite obvious by now that the new slot game is based on a fairytale. NetEnt has based it loosely on the tale of Snow White, but has also taken some poetic liberties to transform it into a unique game in itself. Symbols on the reels include glittery symbols such as A, K, Q, J, 10 and 9, as well as princesses, queens, lanterns and precious stones. The Fairytale Legends logo is symbol you’ll definitely want to land because it gives you 15 x your stake if you land five on a pay line. Mirror Symbol: When this symbol lands on the third reel during the base game, the lucrative Mirror Re-spin feature is activated. The symbol then turns into a Princess or a Queen symbol and then this symbol remains locked in place during the re-spin. Fairy Mirror Feature: The Mirror symbol lands in the middle of reel #3 in order to trigger the Mirror Re-spin feature. Fairy Magic Spin Feature: Between 5 and 7 symbols cluster on the reels to award the player with one spin. Fairy Surprise Feature: A symbol is randomly picked and helps turn lower symbols into a winning combination. Coin Win Feature: Players are awarded a cash prize of 15 x their stake. Free Spins Feature: If one or more Mirror symbols land during a free spin, players earn 10 free spins with the Mirror Re-Spin feature. Mining Bonus Feature: Crush up to nine crystals to reveal cash prizes. The new Fairytale Legends: Mirror Mirror slot is an extraordinary game to play and compliments the other two games in the series superbly. Of course, players should also not overlook the fact that this is a lucrative game to play as well, with a maximum win of 1,822 times one’s total stake.